"We were called, we trained, we did the job and did it well." 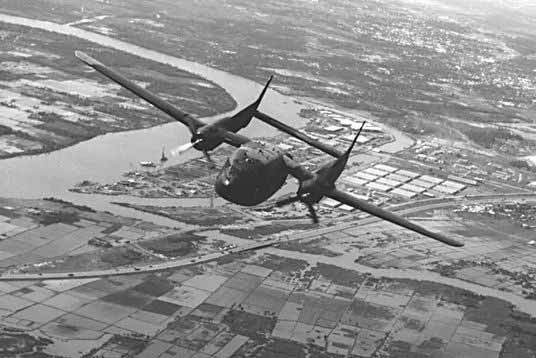 The first AC-119G mission that the 71st Special Operations Squadron flew in Vietnam was a demonstration flight just off the coast of Nha Trang. 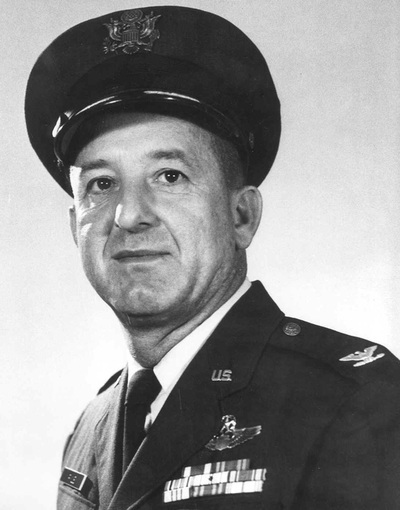 According to Colonel Retired Herman A. Heuss, USAFR, the crew consisted of Instructor Pilot, LTC Harold E. Mitchell, Pilot LTC Don Beyl, Co-pilot Major Herman "Al" Heuss, along with the normal crew of two Navigator/NOS operators, Flight Engineer, IO and two Gunners. There were another six on board as observers. The firepower demonstration consisted of dropping a one-man life raft into the water and using it as the target. LTC Beyl shredded the raft with the first burst with two guns online. This same crew flew the first in-country (Vietnam) combat mission on 5 January 1969, this according to the entry in Colonel Heuss' Form 5. Go HERE for more photos of the 71st SOS. Go HERE for photos of the 71st SOS in Vietnam. Go HERE for photos of the 71st SOS homecoming. Thanks to Herman A. 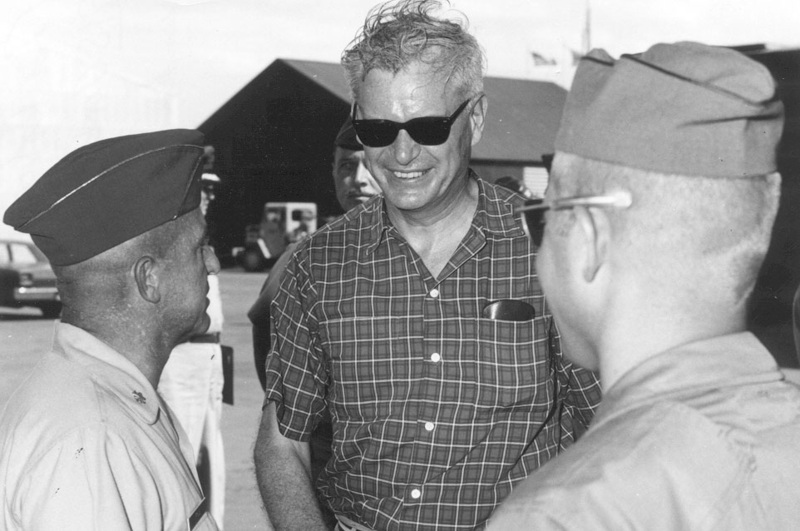 (Al) Heuss, Colonel USAFR (Ret.) for the names of the Gunship Crew in this photograph taken at Nha Trang in March 1969. Front row left to right: Lt. Col. Boris C. Chaleff, Navigator, Capt. Fred W. Harwood, NOS Operator and SSgt Ragsdale, Gunner. 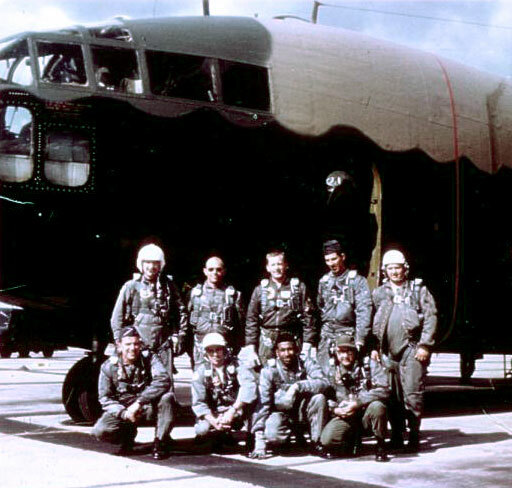 Back row left to right: Major Herman A. Heuss, Pilot/Aircraft Commander, Major Joseph W. Dague, Co-Pilot, SSgt. Robert L. Eckstein, Flight Mechanic, TSgt. Jackie McGinnis, Gunner and MSgt. Clarence McDaniel, Illuminator Operator. 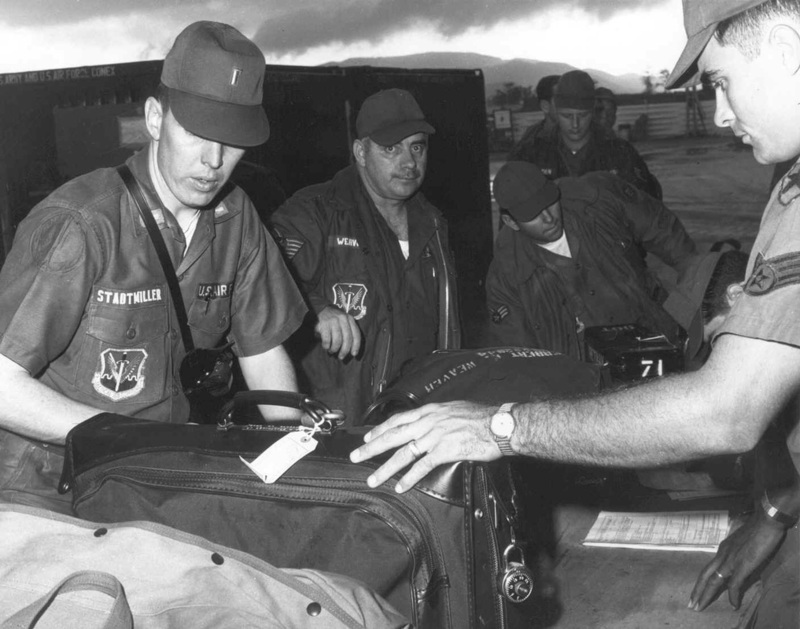 This photo is from the Herbert Zumhingst collection taken December 27, 1968 upon their arrival at Nah Trang, Vietnam. Herbert is the second from the left top row. Herman A. (Al) Heuss, Colonel USAFR (Ret.) 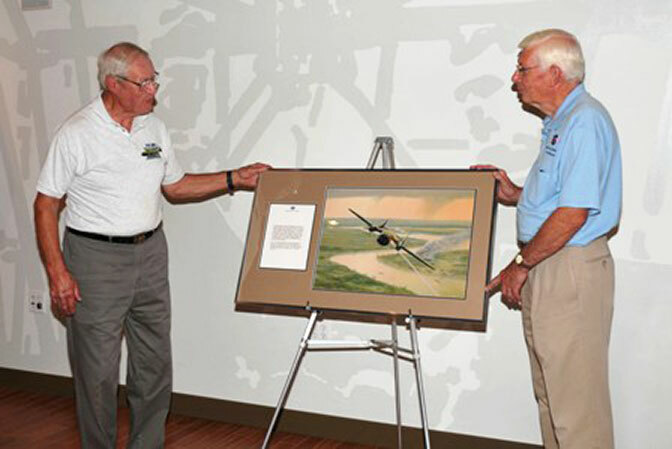 former gunship pilot representing the 71st Special Operations Squadron Association presents museum board president Gordon Lake with a special AC-119G Gunship print which was placed in the museum Gallery October 2010. 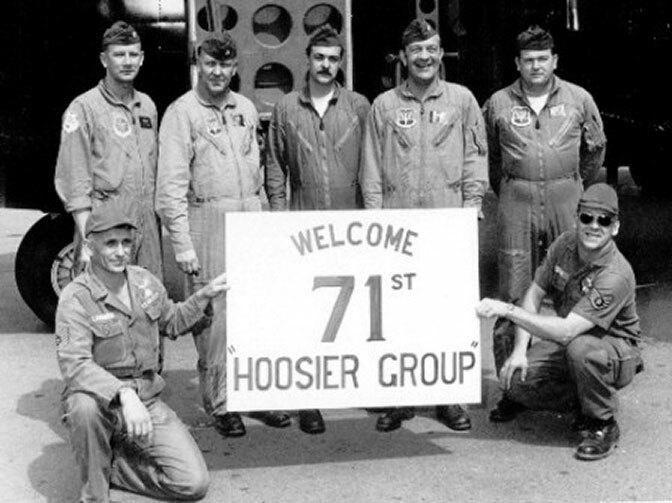 The 71st Tactical Airlift Squadron of the 434th Tactical Airlift Wing from Columbus, Indiana was activated on May 13, 1968 to expedite the deployment of AC-119G gunships to the Vietnam War. 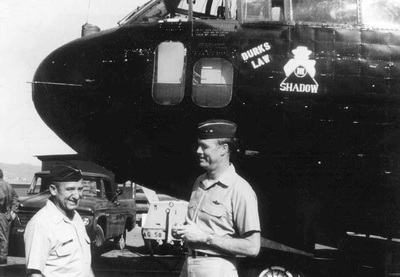 Colonel James Pyle in the first photo, SSGT Thomas, Captain Evens, SSGT Burks next to a 71SOS AC-119G Gunship in April 1969 and LTC Pyle and Major General Marchbanks in May 1969 standing next to the AC-119G, "Burk's Law. "The crews went through gunship training at Lockbourne Air Force Base in Ohio and then to Eglin Air Force Base for jungle training. 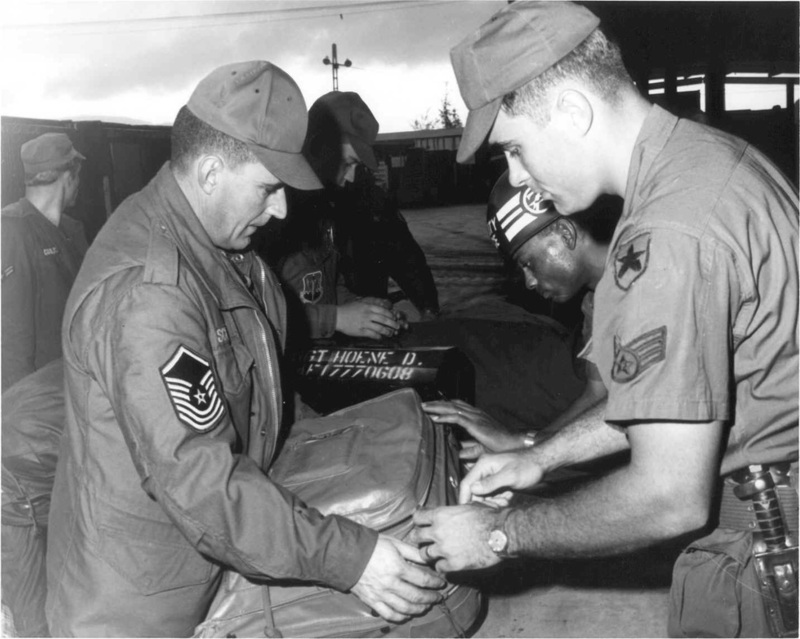 The unit continued to train throughout the summer and early fall of 1968 and in November deployed to Nha Trang where they became part of the 14th Special Operations Wing. The first four C-119Gs of the 71st arrived in Vietnam in December 1968 to begin a three-month combat evaluation. 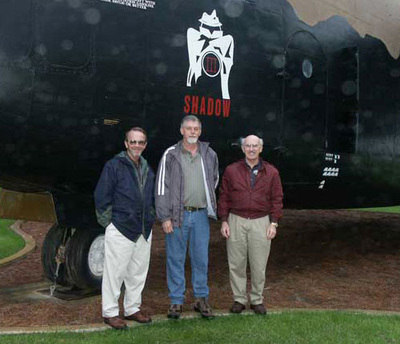 The Seventh Air Force agreed to the call sign "Shadow" and the aircraft were know as the AC-119G Shadows. 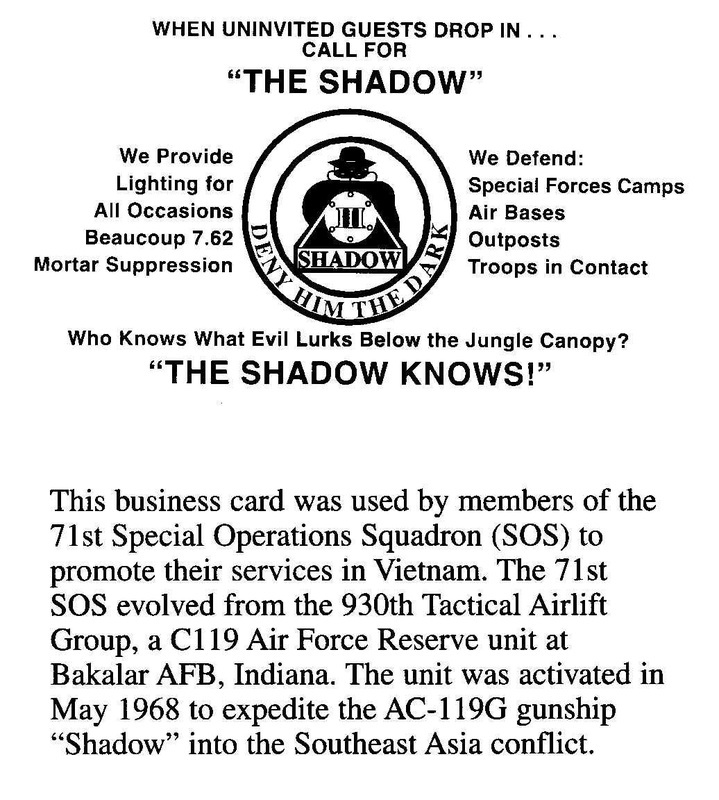 In June 1969 the 71st SOS returned its flag to the United States leaving some of its G models and two thirds of its personnel in Vietnam to fill out a new gunship squadron designated the 17th SOS. 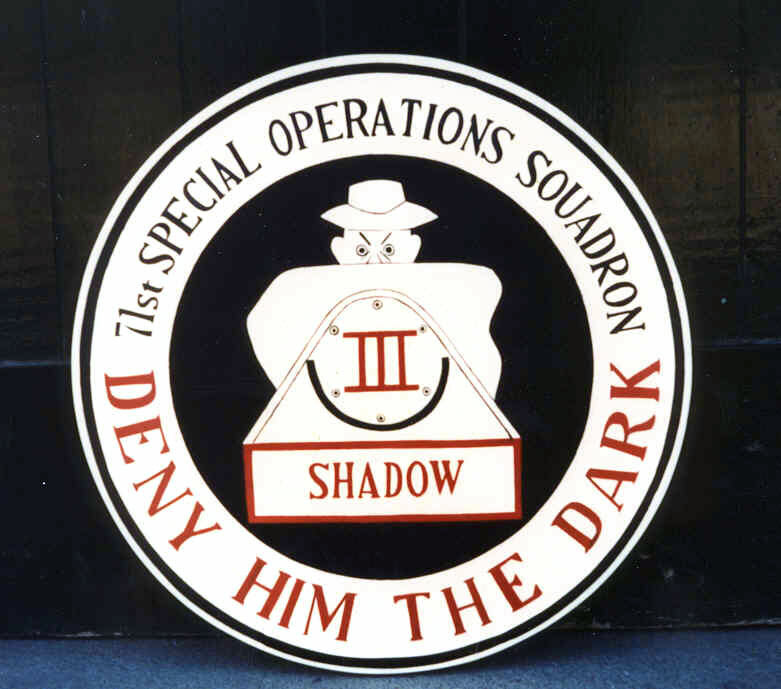 By late 1969 the 14th Special Operations Wing had 16 119Gs and 12 119Ks operating from five airbases throughout Vietnam. These crew served with great distinction and earned a reputation for their skilled and timely fire support. 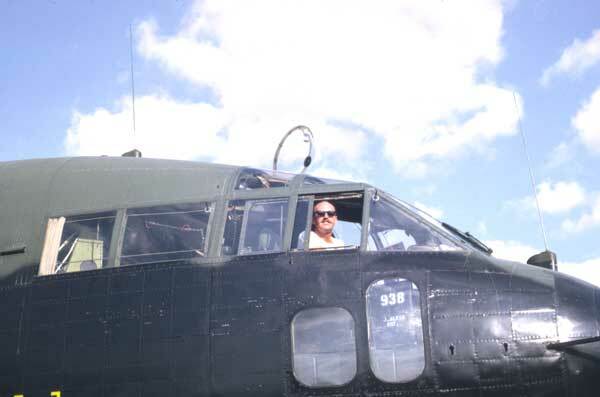 The grunt on the ground loved these gunships. 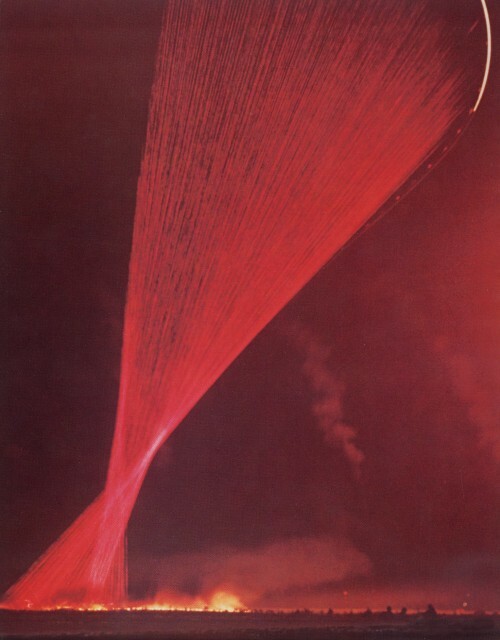 The photo is a time exposure of a gunship's massive fire power. 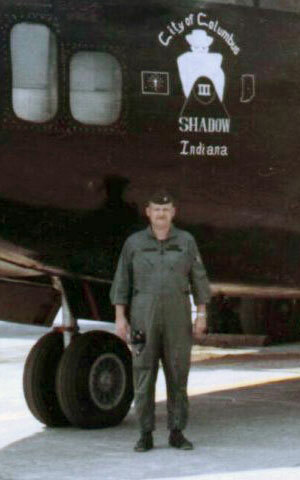 Captain Bill Hamilton standing by the City of Columbus gunship in Vietnam. The AC-119G "City of Columbus" gunship, named for the 71st's home town Columbus, Indiana. Lt. 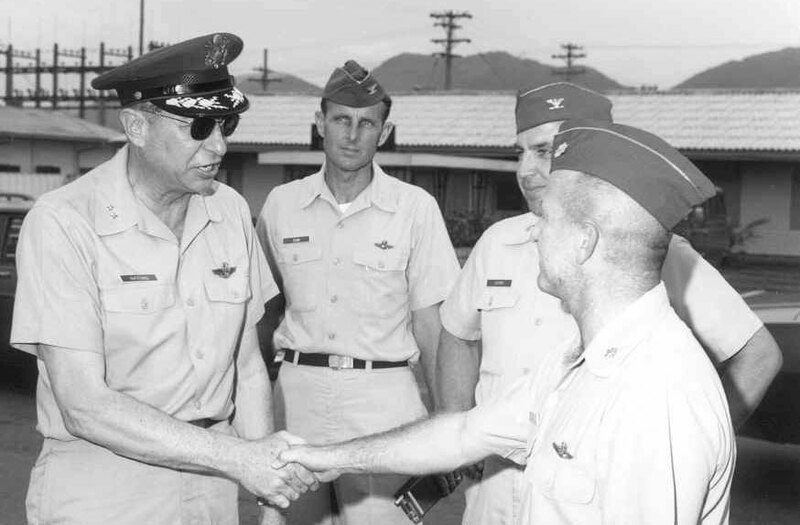 Colonel Donald F. Beyl and Captain William R. Joyce, Jr. are in the photograph taken at Nha Trang, Vietnam. 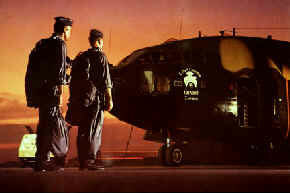 This photograph was sent to us by Glen Olmstead, whose father, Paul L. Olmstead, flew with this gunship crew in Vietnam. Front row: Copilot Major Vern Hoene, Engineer Staff Sergeant Paul Olmstead, Gunner Sergeant Timoney, IO Staff Sergeant Jim Bond. 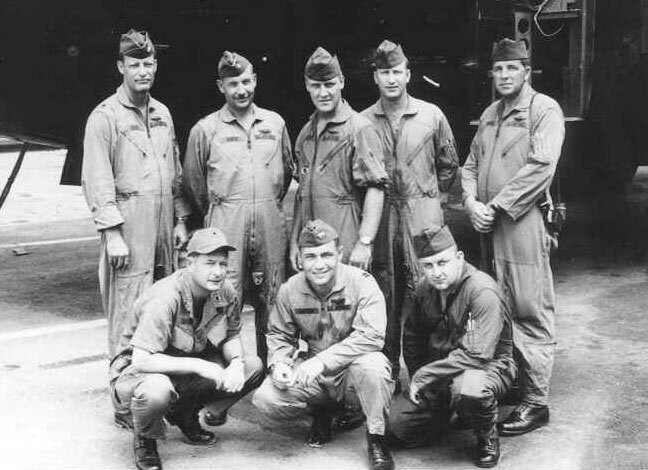 Back row: Pilot Major Norm Reid, Nav/NOS Major Jack Halsey, Nav/NOS Captain Brian Akers, Gunner Sergeant Strum, Unidentified IO. 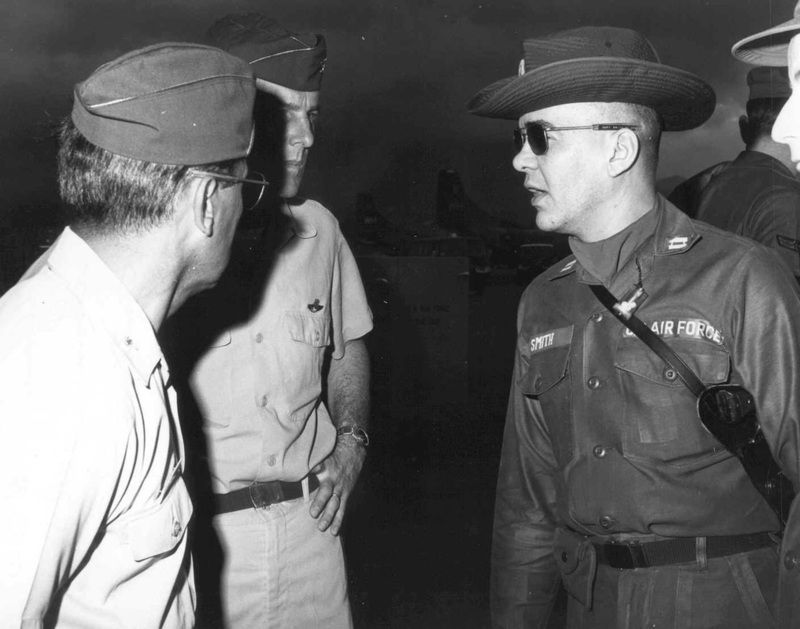 Major General Gifford, Colonel Ginn, Colonel Cherry, and LTC Pyle, Vietnam 1969. 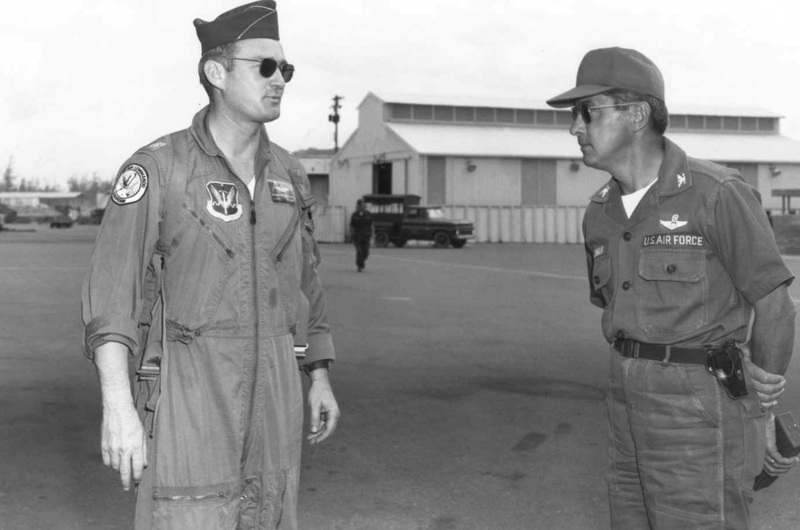 Major General Tom E. Marchbanks, Jr., commander, U.S. Air Force Reserve, and Colonel William K. Bush, commander 14th Special Operations Wing (SOW), Nah Trang Air Base Vietnam. 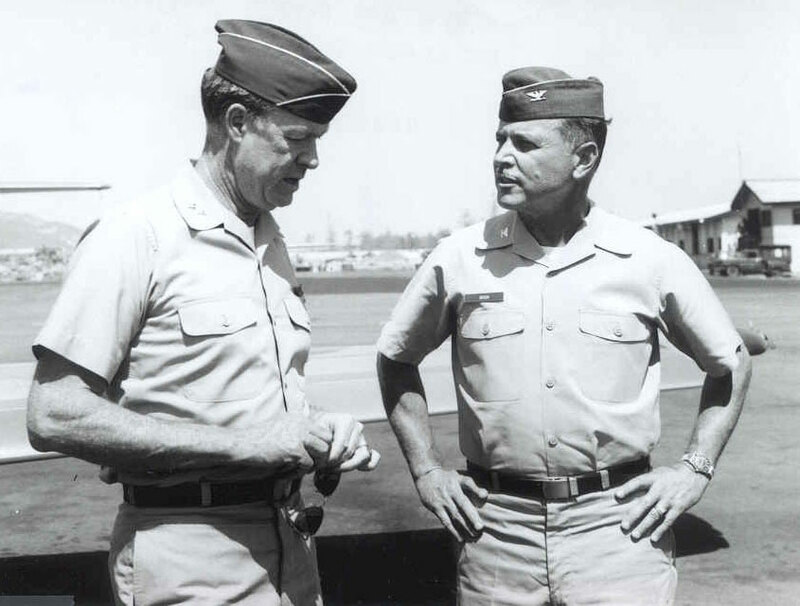 LTC Pyle and Doctor Robert C. Seamans Jr., U.S. Air Force Secretary, in Vietnam, 1969. 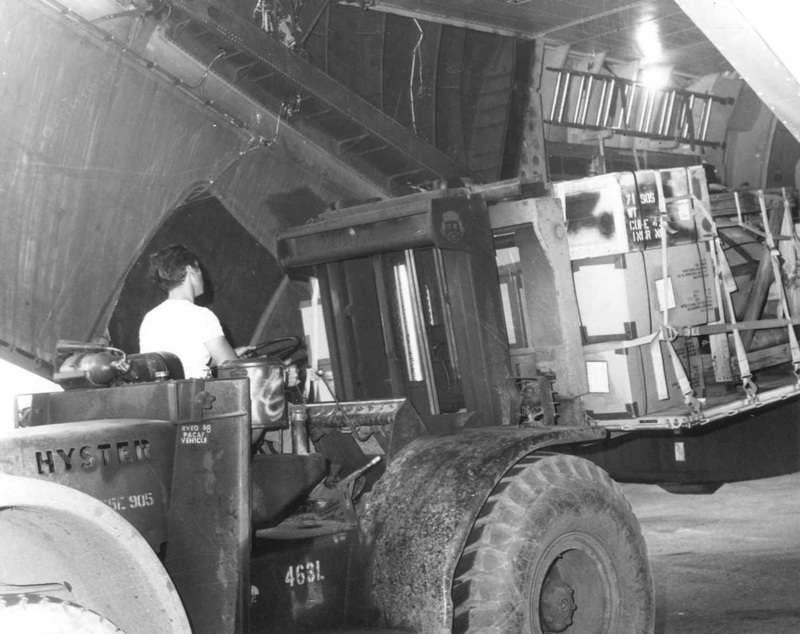 Loading 71st SOS equipment in Vietnam 1969. 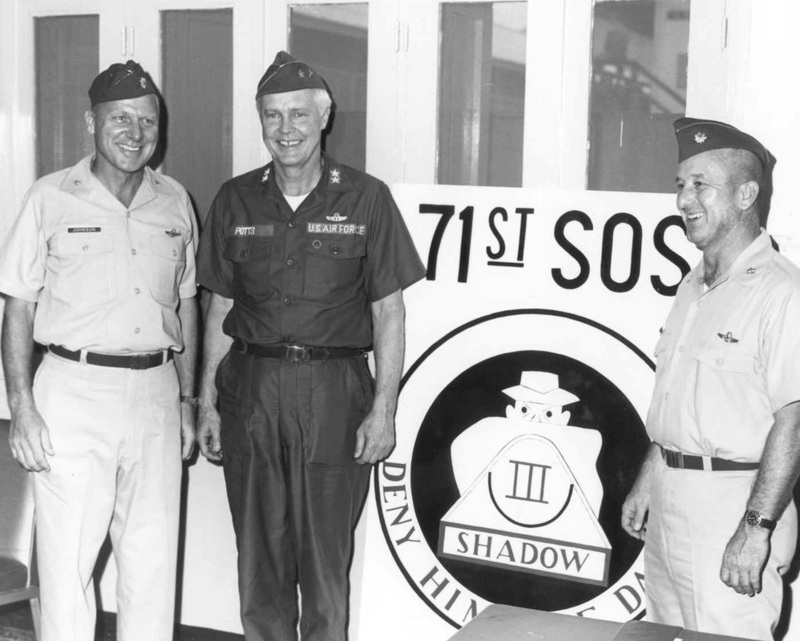 LTC Johnson, Major General Potts, and LTC Pyle by the 71st SOS sign. Major McPherson 71st SOS and Colonel Allman, 14th SOW Vietnam. 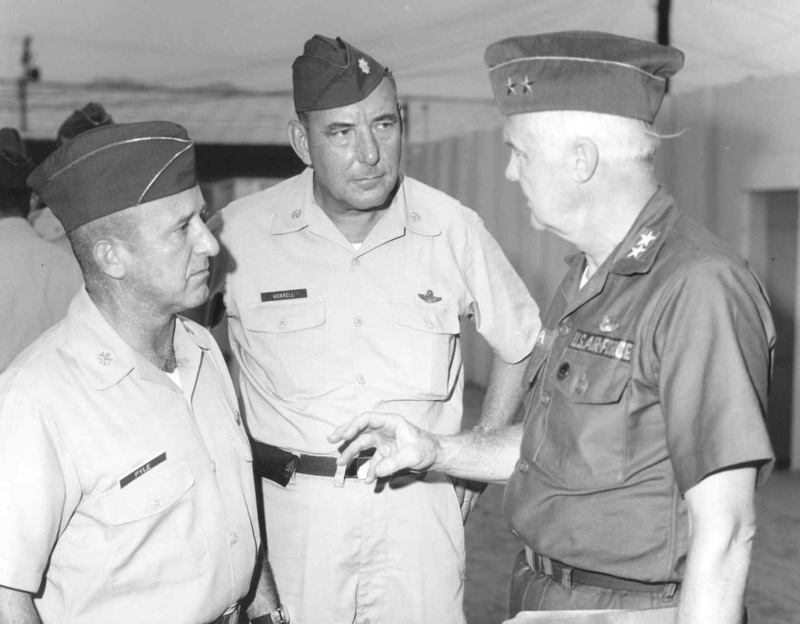 LTC Pyle, 71st SOS, LTC Horrell, 71st SOS, and Major General Potts, Air Reserve Forces Policy Committee, April 1969 in Vietnam. Major General Curtis and Major General Price, Air Reserve Forces Policy Committee. Colonel Allman 14th SOW, Colonel Grim, 14th SOW, and Captain Smith 71st SOS, Vietnam. 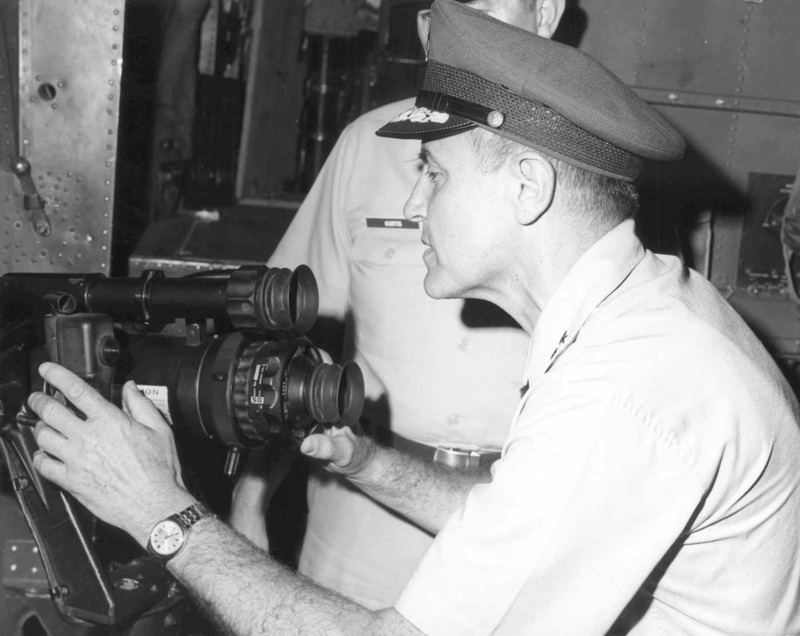 Photographs above of James R. Alvis signaling start up of an AC-119G Gunship in Vietnam, looking out the cockpit window of the AC-119G he crewed at Phan Rang, Vietnam, and a current photo in a 71st SOS sweatshirt on the left. 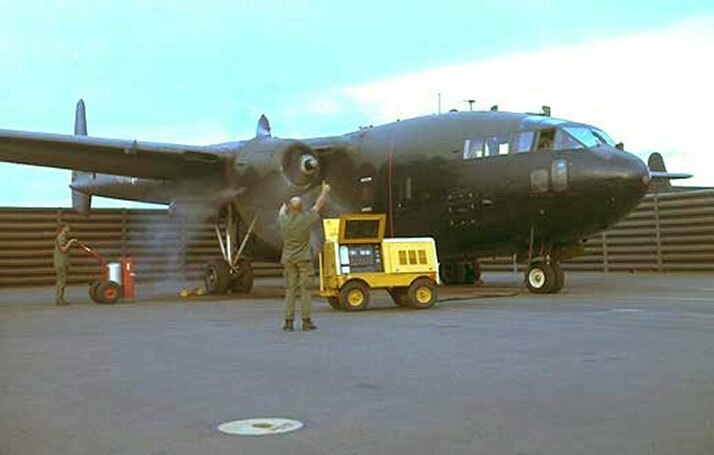 A C-119G is made up to look like a AC-119G. This aircraft is located at Hurlburt Air Force Base home of the Air Force Special Operations Command. The three people in the photo are former 71st SOS guys with Jim Alvis on the far right. 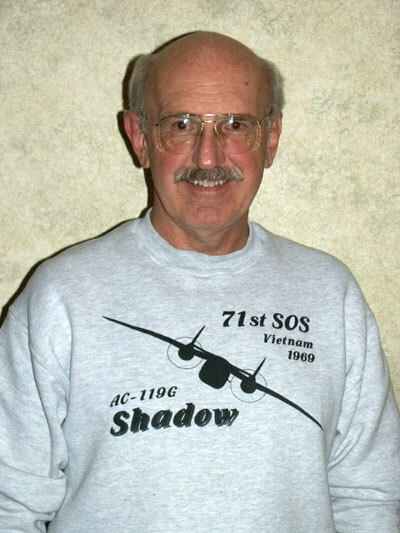 Jim remembers the AC-119Gs being turned over to the VNAF and they were ultimately abandoned in place. 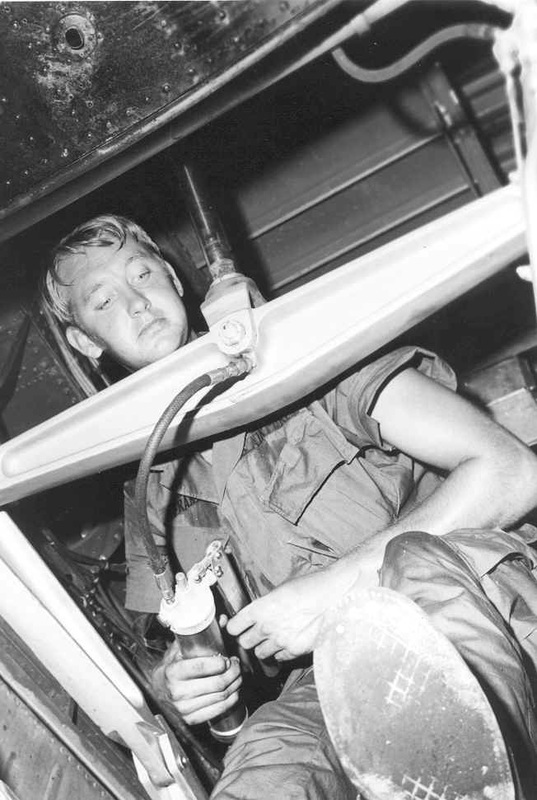 1969 Vietnam photograph of SGT Franke working on AC119G. 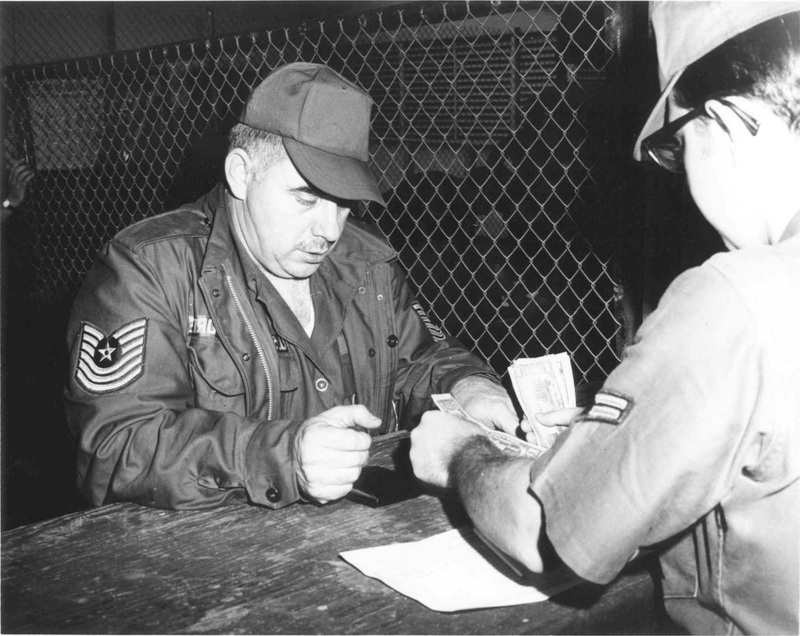 Master Sergeant Weaver in a cash transaction. Master Sergeant Scott, Sergeant Hoene, and Airman First Class Conley getting luggage checked.